If you were ever searching for John Legend’s hit single “All of Me” on YouTube, you may have come across YouTubber Luciana Zogbi. Her version of the song has garnered 75 million streams on her YouTube channel. Still her most popular video online, she has posted other several other videos that has clocked millions including Ed Sheeran’s “Thinking Out Loud”, Sam Smith’s “I’m Not The Only One” and Adele’s “Hello”. Now, with one million subscribers and with 200 million+ combined views, yes, she can make a living directly from YouTube. Her latest track Where We Belong has the global flavor appeal, blending the most popular sounds from all the countries. Of course with this being her first recorded original track, she’s still finding her sound. 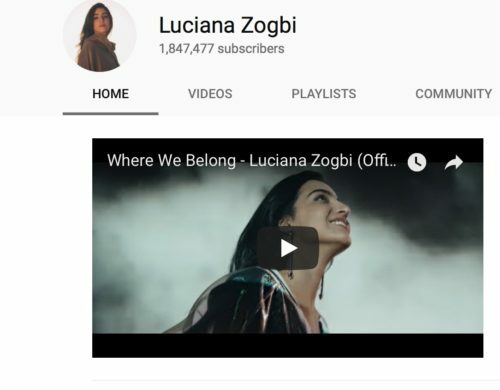 When Kings asked Luciana the transition from a cover artist to an original artist she notes, “the crossover from covers to originals came pretty organically to me. I’ve always composed and dreamed of one day being able to share my message to the world. My followers were also always asking for original content so the whole transition was very natural”. Give it a stream!